If you want to learn how to paint photorealism, these next few pages will walk you step by step through the photorealist painting techniques that I use to create my photorealistic paintings, such as the ones on the right. 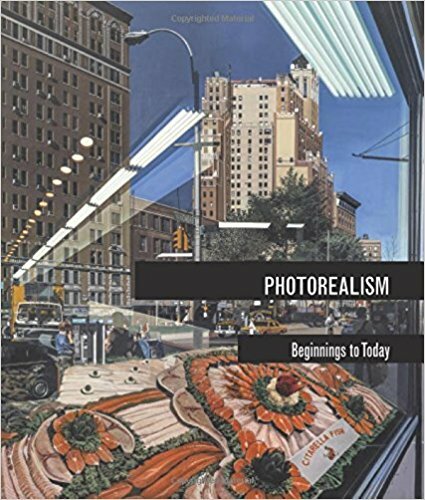 This step-by-step guide may be an equally interesting read for non-artists who have a deep appreciation for photorealist art and want to understand how photorealist paintings are created, from start to finish. You can see more of my photorealist work on my art website. There are many mediums an artist can use to paint (or draw) photorealistically. 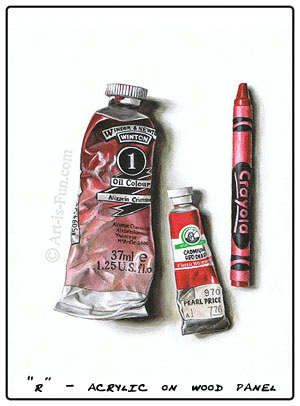 The most common are oils, acrylics (paintbrushed or airbrushed), watercolor, graphite, colored pencil, and pastel. The majority of my photorealist work is done in acrylics using a paintbrush (as opposed to an airbrush), although I have used watercolor and colored pencil as well. For the purposes of this write-up, I'll focus mainly on acrylics. I am a self-taught Photorealist painter, focusing primarily on photorealistic still lifes. I especially aim to depict objects that are extremely detailed, such as currency and reflections in glass. You can see some of my paintings on this site, and more on my website. Because I'm entirely self-taught, I'm intimately aware of all the ups and downs, trials and tribulations of creating photorealistic artwork. I've learned a lot along the way - especially learning from my mistakes - but most of all, learning from practice and persistence. Photorealist painting is not easy, as it takes a certain amount of time, energy, concentration and skill - but the rewards are immeasurable! Over the years, as I applied myself steadily to my artwork, my knowledge of the materials and understanding of the photorealistic painting process increased. I'm delighted to share with aspiring photorealist artists all the jewels of knowledge that I have acquired over the years - such as which materials are best to use, how to mix colors and create glazes, and which methods will produce the best results. When I was starting out in the world of photorealistic painting, I couldn't find any guides for how to accomplish what I wanted. So I'm hoping that this guide on how to paint photorealism will help other aspiring photorealist artists understand what to expect and what to do on this wonderful artistic journey! You can read more about my personal philosophy regarding Photorealism on my website. Each of these sections is of equal importance, so be sure to read all of them. In Materials, I explain what brands are best, and what art supplies will be most beneficial towards your aim of creating Photorealism. I'll discuss important things like brushes and acrylic mediums, as well as which surfaces are the best to paint on and why. I'll explain the art of capturing a good reference photo, and then how to use it. Transferring the photo examines the 3 main ways you can transfer the photo to your work surface: by projector (opaque, slide or LCD), via the grid method, or by using transfer paper. I'll explain the pros and cons of each, so you can more easily decide which method is best for you. Finally, Paint! This is where all the preparation from Parts 1 and 2 starts to pay off, and also where the most difficult work begins. I provide tips, hints and techniques for how to paint photorealism in acrylics. This section includes information about what to expect, pitfalls and problems you may encounter and how to handle them. If you're eager to get started, here's the list art supplies for photorealist painting. Look over the list, then click on them one by one to find out more information about each! 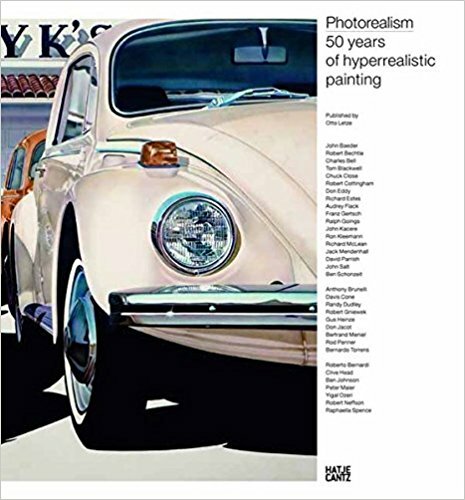 Read a current and historical overview of Photorealist painting techniques and methods. It is beneficial to familiarize yourself with this information before you embark on your own journey to create photorealistic paintings.